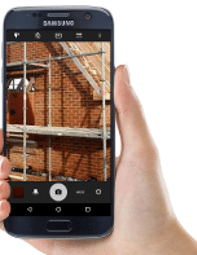 SMART Inspector makes scheduling, conducting and reporting on scaffold inspections simple and efficient with an Apple or Android phone or tablet. No more paper as each inspection report can be automatically emailed to the contractor. SMART Inspector has been designed to work seamlessly with SMART Handovers with the two apps sharing the same management desktop console. Very little set up is needed so you’ll be able to get going straight away. A step by step process to record your inspection, capture the customer’s signature on your device and automatically schedule the inspection report to be emailed to your customer. This means you save time and money as there’s no need to rekey or scan the information when you get back to the office. No more lost paperwork and you’ll have a complete audit trail designed to comply with legislation should you ever need to prove your inspection history! The desktop console gives you the option to set up new customers and sites via your computer, making it quick and easy to add new projects. You can see at a glance what scaffolds are on hire and plan the weekly inspections in advance. There are a range of reports that you can run and download: a detailed inspection report, an inspection summary, check the inspection status of all standing scaffolds, view the inspection history of one your scaffolds or produce an unsafe scaffold report for a particular site. You can see your activity across the company and then filter that by site, date, user and the type of activity. Then just click on the activity to get the full details. If you have SMART Estimator you also have the option to import customer and site addresses as well as scaffold details so there’s no need to rekey them. The app guides you through a step by step process to ensure a consistent approach. You can set up new sites and scaffolds from your mobile device and even add photographs of any defects! Should you not have any signal or wifi the device will store the information and synch up when you’re next connected. There’s also a useful diary feature that lets you add notes and photographs to a scaffold just in case you need evidence in the future. If necessary the app will run on intrinsically safe devices and photographs can be disabled on sensitive sites. Once on site you can very quickly find the scaffold you want to inspect – either from a drop down list or you can simply scan a QR code. SMART Inspector has been specifically designed to meet contractor’s needs and meet current legislation. You choose what reports are sent out: a daily detailed inspection report, a daily inspection summary and/or a weekly inspection status report.